We do this because London is a place of extremes. While our capital is one of the most dynamic places in the world, full of cultural and economic opportunities and a hotbed of innovation and change, it can also be anonymous, lonely and isolating. For our older neighbours in particular, many of whom have spent a lifetime in their home neighbourhoods in Southwark and Lambeth, the rush and pace of the city can often now feel too much. Getting around can be frightening, and trends including globalisation, gentrification, migration, digitisation and the housing bubble are transforming our communities faster than ever. 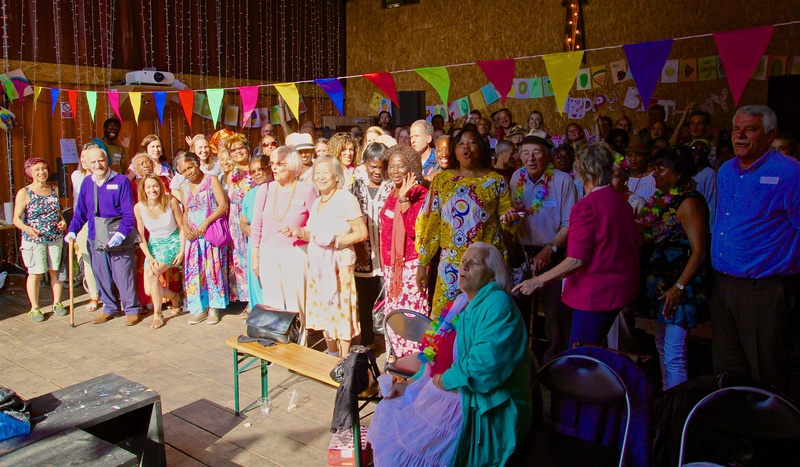 The multiplying effect of those pressures is that many older people have deep roots – from Brixton to Bermondsey – but few connections. Meanwhile, young professionals – often graduates from across the country and around the world – can have hundreds of connections in the social media age, but no roots in their communities. The separation of those parallel worlds wastes human potential, entrenches loneliness and isolation, perpetuates social division and is ultimately corrosive for our society. South London Cares seeks to address this modern blight of disconnection in our capital by harnessing the people and places around us for the benefit of all. Bring people together to reduce the gaps across social, generational, digital, cultural and attitudinal divides.